Stay Two Nights at El Portal Sedona and Get the Third Night FREE! Sedona’s boutique hotel, El Portal is offering a third night free when you stay with us for two nights! This is for a limited time, so call 1-800-313-0017 now for your reservations, or go to http://www.elportalsedona.com/specials.html. 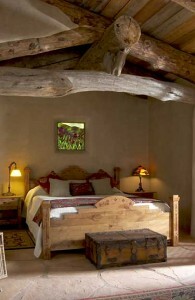 Located in the heart of Sedona, El Portal is a luxurious twelve suite, pet friendly bed and breakfast. Each guest suite includes a private entrance, patio, fireplace, whirlpool bath, entertainment center with DVD, wifi, telephone, fax and more. Experience the dramatic views, relax in our romantic courtyard, shop the gift shops and galleries of the renowned Tlaquepaque arts and crafts village, or hike the red rocks. Come to El Portal for your memorable Sedona Arizona vacation! Remember “Stay Two Nights and Get the Third Night Free” is a limited time offer! Make your reservations today!